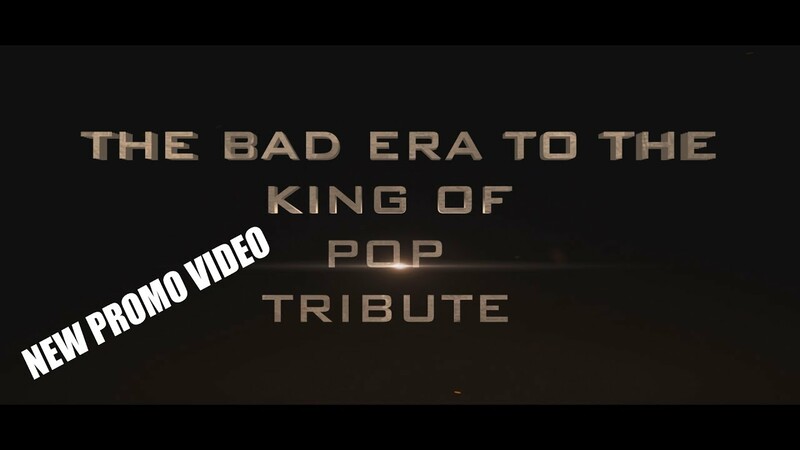 Ivy King is a Michael Jackson Tribute Artist from the 1980's Bad Era. With 9 years of experience, Ivy King has been "thrilling" audiences all over the United States and Canada. Experience a mood of L.O.V.E once you come face to face with this artist. She truly understands how to work the crowd and create a wonderful feeling for all of Michael's fans. Provided with the show is a meet and greet, photo opportunities as well as autographs. Ivy was absolutely amazing. Her performance alone was great, but her positive attitude, with not only the kids, but the entire group, was the top of the cake. It felt like she was a part of the group, not just a part of the party. Love, love, love her and highly recommend! She made my daughter's 5th birthday a night she will surely remember. Ivy's performance was great! Costumes, moves and stage presence really were on point! She was the highlight of the party! So glad we had her be a part of our event! She was prompt, courteous and professional. Would highly recommend! Ivy was so good! She bought the party at our wedding to life! She is very talented and danced just like Michael Jackson! She was right on point! Everyone loved her! She was one of the highlights of our wedding. Ivy is great at what she does and you won’t be disappointed. Ivy was absolutely amazing! Interaction was the kids and adults was so much fun! We recommend her for any event! Ivy Is a wonderful entertainer! She performed at my daughter’s birthday party and really was unforgettable! She had great conversations with the guests, interacted so well with the kids, and took pictures with everyone! I would strongly recommend Ivy for any event in need of a MJ performance! She was truly amazing!! 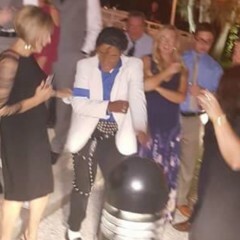 Best Performance Ever At Our Wedding!!!! I had Ivy Jackson perform at my wedding last week. Ivy was the biggest hit of the wedding!! She got everyone up dancing on the dance floor. Her moves, attitude, professionalism, and skills were top notch! 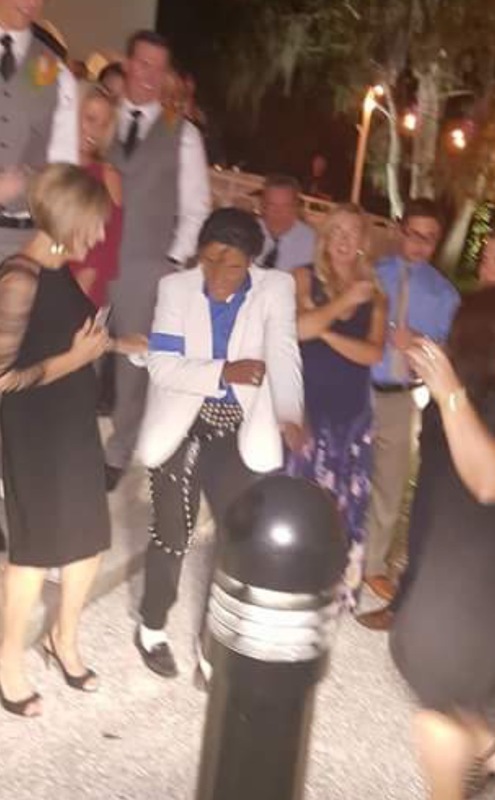 It was basically Michael Jackson at our wedding performing. If you want to get a party or wedding started, book Ivy!! Ivy "MJ" King was the Main Event for my family's Summer 2017 Celebration at Orange Lake Resort, where 30 of us gathered to celebrate summer birthdays, anniversaries, graduations and promotions. Ivy and her production team were very prompt and polite. Ivy's make-up and wardrobe were quite reminiscent of the King of Pop. Moreover, her footwork was amazing! She was engaging with the crowd and encourged the kids to participate. I was so impressed that I gave her a 20% tip. See you next year Ivy "MJ" King....SHAMONE! Our group is a friendship group for adults with special needs. We hired Ivy Jackson to come to one of our dances and perform for the members. I have seen her perform at Safety Harbor's Third Friday, so I knew she was a wonderful Michael Jackson impersonator. But she still managed to blow me away with her performance tonight. Not only did she perform beautifully, she connected with our group, let them dance with her, and even helped to teach them the moves to the dances. She took the time to talk to every single member that wanted to meet her, took pictures with every member that wanted a picture with her, and without a doubt made this one of our best dances ever! I wouldn't hesitate to hire her again, in fact it's guaranteed that we will! Thank you Ivy! We look forward to seeing you again! Unbelieveable, Authentic and VERY Talented!!! I found myself in a bind, when two weeks prior to our charity event, my other talent fell through. I found Ivy Jackson and knew right away that this would be perfect! She was very flexible to what we needed - and kept in touch with me nearly every day until the event. She arrived early, even though she was only requested to perform two songs, and mingled with the crowd afterwards for those who wanted photo opportunities. In keeping with our Hollywood theme, she came in and wowed everyone!! VERY Hollywood! She was professional, and left such a great impression on all the guests. I would recommend her performance to anyone. In fact, I will be asking her to save the date for our event next year as well! You have to see Ivy King to belive it!!!! Ivy Jackson gave a terrific performance at our Thrill St. Pete event. The weather was pretty warm that afternoon, but it didn't slow her down any. What a great array of tunes and dance moves! Truly got the crowd in the spirit of the day! Highly recommended! Thank you guys for having me for this year thrill st.pete I really enjoyed it. also I love everyone that was dancing and smiling I truly mean that from my heart. specially the kids I loved it. Ivy was fantastic and pumping up the audience. She is a phenomenal dancer who will make you feel like you are really watching MJ! Michael Jackson Tribute show i have ever seen in my life!!! 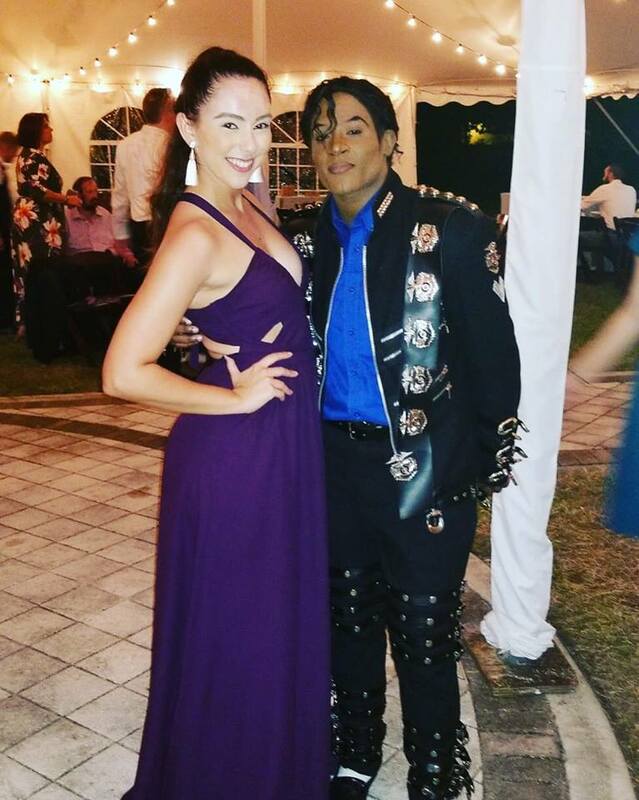 I booked Ivy king Jackson for this Big event and fist off i wanted to say that Ivy King Jackson is one of the best Michael Jackson impersonator/Tribute Artist/Look alike. that i have EVER SEEN IN FLORIDA!!!!. Ivy, Blew me away and everyone else. she got everything packed down to the king of pop even with his footwork and most of all his Moonwalk. and not only that i Realize she put's all of her energy and emotions in her performance just like Michael dose. i was just heart taking that the fact that she show's the love, the peacefulness,givens just like Michael and that made me smile from cheek to cheek. i believe that god gave her a wonderful talent to share with the world and most of all to imitate one of the greatest entertainer of all time!!! i would be booking her again and again i just can't enough of her i love her. if you didn't book Ivy king you need too, you guys are missing out of one of the best MJ impersonator/Tribute Artist here in Florida!!!! i wish her the best of luck and i hope to see her on tv,on tour, or anywhere else because she have the talent to go Further in life with this. One of the Best MJ Tribute Artist i have ever Seen!!!! Ivy Jackson exceeded all of our expectations! She was professional, extremely talented, on time and continuously kept in touch! She BLEW AWAY the crowd!!! I WILL be hiring her again and again and again! I used Ivy for about a dozen performances at elementary and middle schools. I always enjoyed watching her perform. She is a great dancer and her costumes and make up are spot on - she truly looks like Michael Jackson. The audiences all loved her too - they crowded around to watch her perform. I highly recommend her for any party or function - you will not be disappointed. Michael Jackson impersonator the best one you ever seen, Michael impersonator ivy puts all his work into his dancing and pride to everything to make you smile. 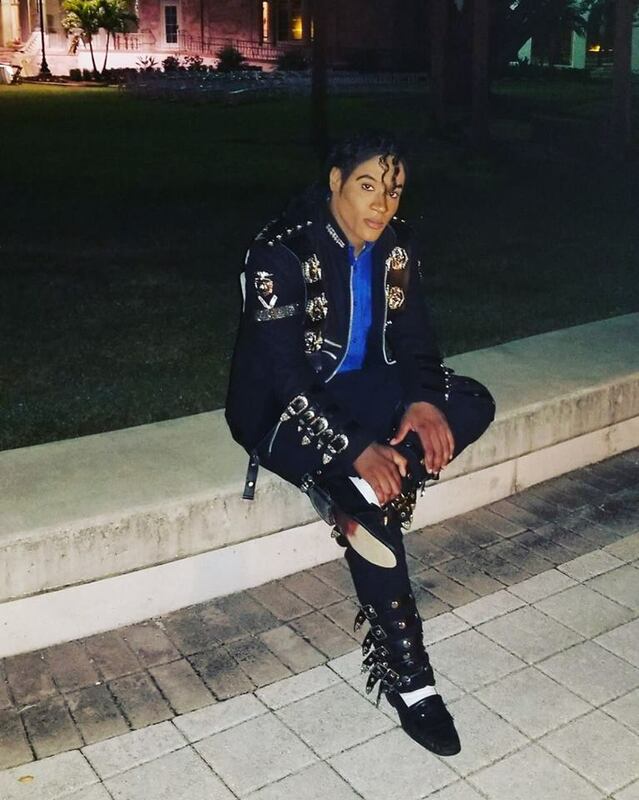 See the amazing MJ impersonator in person and take pictures with him, you'll be amaze at what you'll see with Michael Jackson impersonator Ivy Jackson. Ivy spends a great deal of time creating unique shows for every occasion. Whether you are having a wedding, birthday, Halloween, Thriller party, or any other event, you will have a rememberable time. With her genuine and kind personality, you can expect to laugh, have an great time, and dance. She aims for her shows to feel as though you are in a real Michael Jackson concert! Ivy King Jackson is available for all events (you name it, she does it all). Show lengths range in length from 15 minutes up to 2 hours set. Shows can be customized to fit whatever you desire. From small private events with a DJ up to a large stadium with projection interludes, no event is too big or small. Photo opportunities are available for guests after all performances. Ivy King Jackson has been dancing since she was 7 year old and also has been an avid Michael Jackson fan throughout her life. Even as a young girl, the majority of her time was invested in studying all of Michael Jackson's videos - from the Jackson 5 to his solo career. Her favorite was a VHS tape entitled “Alvin & the Chipmunks - Rockin' With the Chipmunks” (featuring Michael Jackson), in which she would watch daily. At the age of 15, Ivy competed in talent shows and the Step Off Competition dancing in the style of Michael Jackson Tributes. 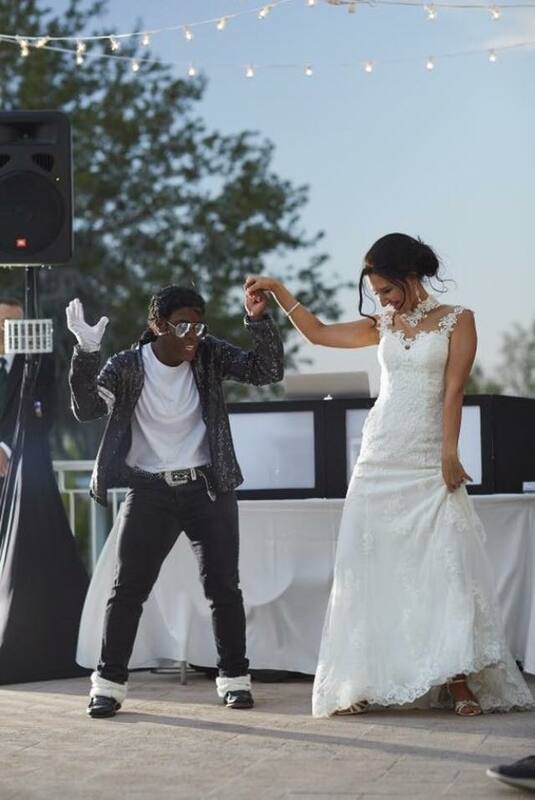 By the age of 20, Ivy embarked on her journey as an official Michael Jackson Impersonator to pay tribute to her hero. Ivy is striving to travel around the world to do shows to bring joy and happiness to others, as well as to share Michael's love all over the world and to make it a better place for the children of all generations. Depending on the event size and type. 5. "She's Out of My Life"
6. "I Want You Back/The Love You Save/I'll Be There"
12. "Workin' Day and Night"
16. "Man in the Mirror"
17. "The Way You Make Me Feel"
18. "I Just Can't Stop Loving You / Bad"
Michael Jackson is Ivy's hero. He has influenced her to be a better person and a better dancer. As impersonator she wants to share his message, love, and spirit through the years to come.